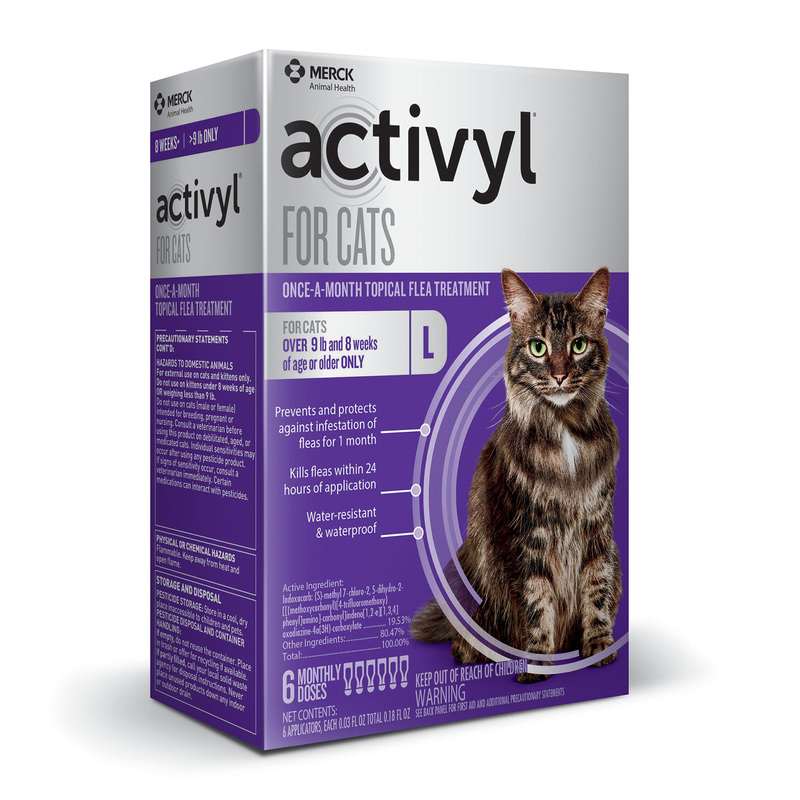 Activyl for Cats is a spot-on products that contains indoxacarb and a mode of action that uses enzymes inside the flea to activate serious flea-killing power. It is applied to a small area of skin but soon spreads. Fleas don’t have to bite for Activyl to work; simply coming into contact with the skin is enough. 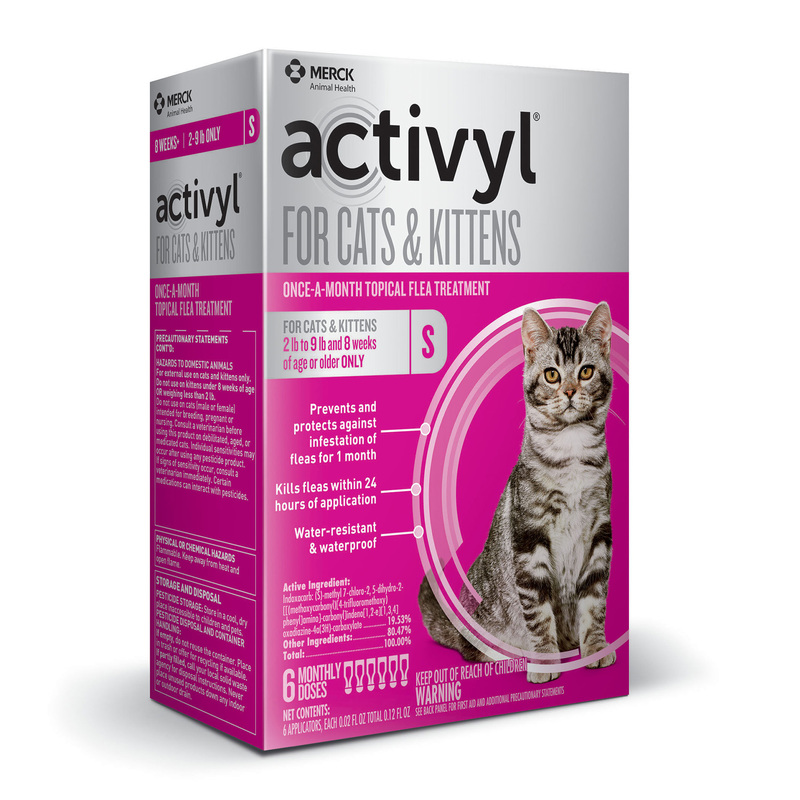 By stopping flea eggs and larvae, in addition to killing adult fleas, Activyl breaks the life cycle. This is effective at both killing and preventing infestations in the home. Place the product at the base of the skull to help prevent your cat from licking it. Squeeze the applicator firmly, applying the entire contents directly onto the skin.